We have selected two of the finest French wines to delight your senses. 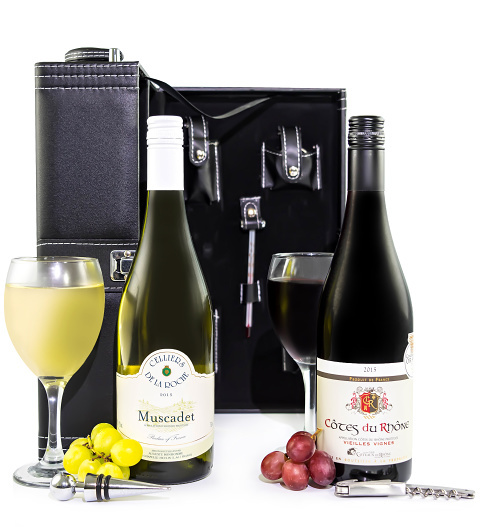 This wine hamper includes a crisp and refreshing Muscadet along with a light, fruity, and somewhat peppery bottle of Cotes du Rhone Combe de La Roche. These two quality French classics make the perfect gift for any wine enthusiast this Christmas.